Our clients who wish to improve their Pay Per Click campaigns receive from us advice that we want to share with our readers as well. 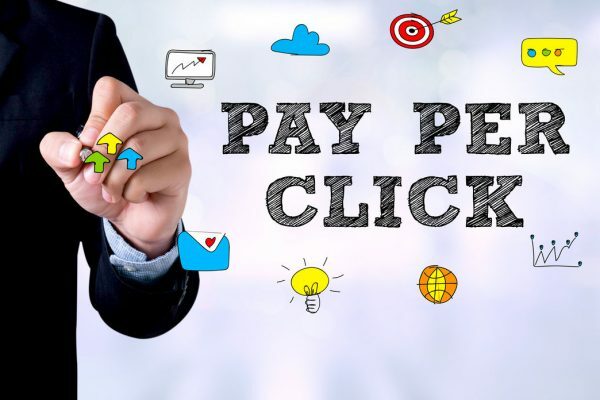 With PPC still being an essential part of any brand’s advertising efforts (and no sign of going away anytime soon), it becomes imperative to master every aspect of it and boost your site traffic. When you sign up with Google AdWords, you will get a standard account with standard settings. This isn’t the best one to have, frankly speaking. You must choose instead “All Features” and avoid the default settings. Most people overlook this and then wonder why it fails to work as expected. To give you a further tip, when you choose to rotate your ads, select the “Rotate indefinitely” option. Since ‘negative’ sounds bad, it is very easy to just ignore it when, in fact, you need it. In AdWords, find where your regular keywords are stored, then scroll towards the bottom of the page. There you will find a ‘+’ sign next to the Negative keywords query. It’s small and therefore easy to miss. By clicking on the ‘+’ a new empty field opens up, where you have to introduce your negative keywords. What are these? They’re the related, yet misleading search words or phrases, that have no relevance to your website. 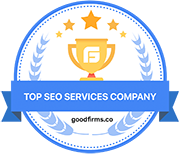 For example, we are a London SEO agency and we have a list of negative keywords which includes terms like “jobs” and “positions”. The reasoning is simple: we do not offer SEO jobs for the moment. Still, we are totally about SEO. If people looking for jobs would come across our website and be disappointed, we’d be losing relevancy. You must show up in the right search results at all times, not in the wrong ones. Many advertisers gather all keywords they can think of and use these with the same ad or ad group. Experts don’t see this as a helpful tactic. Instead, they choose to form groups of keywords. They select these according to a common theme. This will make it easier to tailor your ad copy in a way that truly speaks about each of those keywords that you’re using. In addition, they keep on changing the keywords, as the research suggests, because the competition brings changes to the market. The best way to do this is by performing an audience research. This may slow you down for a while but in the end, it is worth it. Many of our clients are quick to implement PPC campaigns and want this done immediately. However, we know how powerful an audience research is. It’s about knowing the market and where the money lies. The success of a campaign truly depends on this. We know it’s exciting to start a PPC campaign and have your ads up finally, but that may not be enough to attract those clicks that you’re craving. For this reason, you have to test different versions. Do not remain stuck with your first options. There is no reason to stay attached to one formula alone. Instead, cycle your ads and experiment with various versions, replacing keywords, images, texts etc. When better results come in, you will know that you found something better. To tell the truth, good PPC ads are only half of the equation. You’ve made people click through, now what? This is a most important part. They land on the page you have designed in order to convert them to customers, but what if they’re not convinced by it? Thus, PPC goes hand in hand with landing page services. It’s because your landing page must reflect true quality, be 100% relevant and catchy. It is the element that finally seals the deal and makes you sell. You’ve created a fine description, added a great image or graphic and the landing page is optimised to the fullest. Even with all of these elements, if you don’t have a proper call to action, you may be losing clients. People who view your ad need to know what they get if they click on it. What will it bring them? The product or service they desire? A price reduction? A promo offer? Whichever the advantage may be, you have to be clear about it and state it in a way that prompts the reader to take action. Make sure you clearly portray what is to be accomplished. Are you selling a regenerating face cream? Promote it by telling people to “buy it now with 20% discount and look younger in only 4 weeks”. That is the idea, so follow this example and adapt it to suit you. Measuring each step of your campaign and every changes and result from it brings is paramount. It is because you are paying for PPC and therefore every bit of it matters. Besides, paid marketing implies a gradual effort, so you must expect (and actually create) changes for the better with every step. If you aren’t watching the details and measuring those adequately, then the impact this can have on your budget can be very big. You need some caution here, too: our advice is to start with a small amount of money, then slowly build it according to your needs. If you invest a big sum from the start, you risk wasting it and getting nothing in return. In case something does not work, at least you did not invest much in it and you can modify it right away for superior results. To track your ads performance with greater precision, you should create a unique landing page for those or a phone number, to share only for the ads you’re putting up. Thus you will be tracking the results more effectively. Surely someone can say something positive about your business, right? 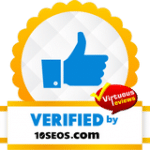 Or maybe you already have an online rating you are proud of – then why not show it to the world? Put it right there in your paid ads. People are attracted to high star ratings and to positive words others say. This is a good method to command attention. However, only a few people realise that a paid ad text can include such elements. A specialist knows this as a reputation management technique, too, therefore you will reap many benefits. We have already hinted at this several paragraphs above and it’s surely worth its own mention. PPC is not just a one-time effort. It calls for commitment and research. The more of these you do, the better the results become. Why does keyword research have to be so frequent? Because the market is ever-changing. Every competitor out there might alter it in some way. The big players will start working with new keywords and that will change the game for you, too. These 10 quick tips represent only the beginning of your PPC efforts. If PPC campaigns feel complicated and you’re not sure of what you are doing, then do what all the serious brands do and hire a professional to work on it. Not only creativity is required here, but also a great deal of caution and precision. Remember that it’s about money and sales and it’s an integrated part of your online marketing.